Ever Wonder Why Homes Have Cupolas? The short answer – for comfort! Before central heating and air, home builders and architects used a variety of tricks to improve the comfort of homes. 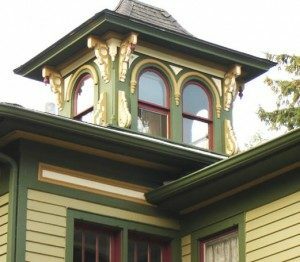 We found this neat blog article at This Old House which describes the uses of cupolas, shutters, deep soffits and eaves, and louvered exterior shutters. We especially liked the different ideas to create air flow. Click here to see. Louvered exterior shutters are typically found in southern and tropical climates. Given the harsh heat we’ve experienced in Kentucky the last few summers, we are beginning to wonder if we need to promote them here. What do you think? https://doorstoreandwindows.com/wp-content/uploads/2018/06/cupola-300x262.jpg 262 300 admin https://doorstoreandwindows.com/wp-content/uploads/2017/11/Transparency-Logo-2-300x181.png admin2011-09-13 19:52:002018-06-15 19:57:29Ever Wonder Why Homes Have Cupolas? Home Security Tips What Does Your Entry Say to Visitors?